This coming Sunday’s Beyond Big Bang presentation, Rua McCallum’s kōrero at Toitū about a Kāi Tahu creation narrative, is CANCELLED. Dunedin (Friday, 29 June 2018) – Dunedin’s annual celebration of the start of the Māori New Year, the Puaka Matariki Festival, begins next Friday, 6 July. 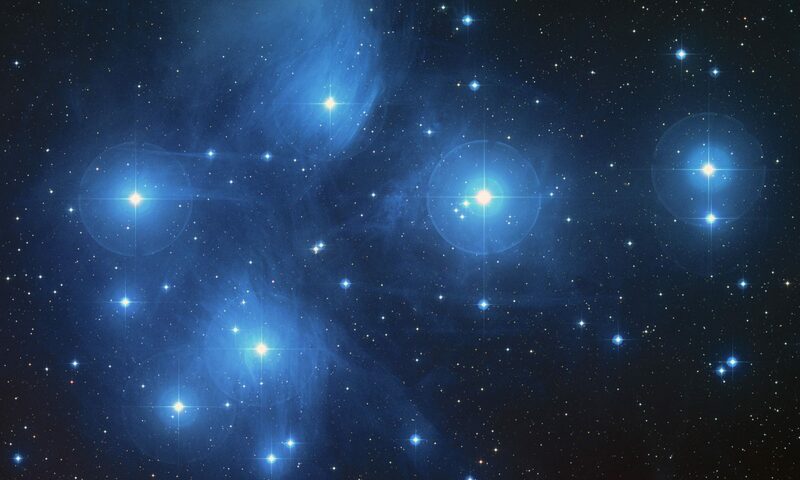 Marking the midwinter reappearance of the lone star Puaka (Rigel) and star cluster Matariki (Pleiades), the Puaka Matariki Festival is a time to reflect, prepare for the season ahead and farewell those who have passed on. Festival Coordinator Vicki Lenihan says the start of this year’s festivities has been timed to follow advice from tohunga astronomer, Rangi Matamua, about the correct dates to observe the rising of the stars. Mayor of Dunedin Dave Cull, says the festival is a key fixture in the city’s event calendar. “The Dunedin City Council recognises the significance of this time of year to mana whenua and takes great pride in celebrating Māori New Year through the Puaka Matariki Festival. “It is a wonderful celebration of community and learning – two aspects of Dunedin culture we are deservedly well-known for. It’s great to see another expansive range of events in this year’s programme for the whole community to enjoy,” says Mr Cull. Everyone is welcome to participate in the festival. The full programme is available on our Events page. Nau mai, haere mai, tautimai! Puaka Matariki Registration closing soon! Today is the last day for event registrations and funding applications. The deadline is 5pm, Friday 27 April. All the forms and a guide are on our website https://matarikidunedin.co.nz/event-registration-and-fundi…/ The Puaka Matariki Festival Steering Roopū would like to encourage participation from people and groups across Dunedin celebrating the Māori New Year with community, arts, knowledge-sharing and remembrance events. Nāu kā rourou, nāku kā rourou, ka ora ai te iwi! The more, the merrier! Alan Gilmore, the former superintendent of the University of Canterbury Mount John Observatory at Tekapo, explains the difference between the reappearance of Puaka and the rising of Matariki each winter. The Earth circles the Sun through the year. This causes the Sun to appear to move a little east against the background stars each day. We take our time from the Sun, not from the stars, so we see the stars shifting a little west each day. This causes the stars to rise and set four minutes earlier each day. That is why we see different stars at different times of the year. Most people know the pattern of ‘The Pot’ or ‘The Saucepan’, Orion’s belt and sword in European and Middle Eastern astronomy. The Pot is first seen in the evening sky in spring when it is rising in the east. By summer it is midway up our northern sky at dusk. (Puaka/Rigel, a bright bluish star, is then straight above The Pot.) In the autumn The Pot falls lower in the western sky. Around the beginning of June it can be seen both setting in the dusk and rising in the dawn. So it never completely disappears from our sky. The three bright stars of The Pot are on the equator of the sky. Stars in the south stay in our sky all the time. The Southern Cross is nearly overhead on May and June evenings. In August and September it is nearly on its side on the southwest. In November it is upside down low on the south skyline. In February–March it is on its other side in the southeast sky. The Earth’s axis is tilted to its orbit. That is why we have seasons. In our summer the southern hemisphere is tilted towards the Sun. In our winter, when the Earth is around the other side of the Sun, the southern hemisphere is tilted away from the Sun. Between the summer and winter the Earth’s equator is pointed at the Sun. That’s when we have the equinoxes: equal day and night. The Earth’s tilt causes the Sun’s annual track through the stars to be tilted to the equator of the sky. In our summer the Sun hides star patterns of the southern sky around the Scorpion and Sagittarius. As the Sun moves on these constellations appear in the dawn sky. They are overhead in mid-winter. 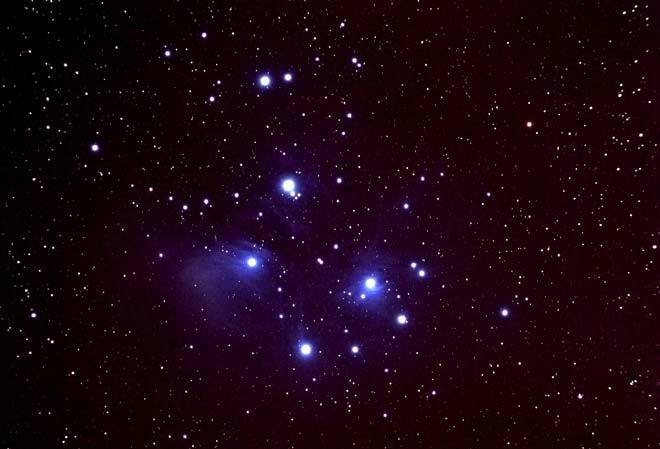 The Matariki/Pleiades star cluster is in the north sky close to the Sun’s track. So Matariki is hidden by the Sun from late April to mid-June as the Sun moves past that part of the sky. The Sun’s track is well north of, or below, Orion. So Puaka is never hidden by the Sun from our southern hemisphere viewpoint. At the end of May and for most of June Puaka can be seen both setting in the western sky at dusk and rising in the eastern sky at dawn. Matariki, being a cluster of stars much fainter than Puaka, is not seen in bright twilight nor when it is near the horizon. It has to be higher in a darker sky to be seen. There are no reliable naked-eye sightings of Matariki before June 14. The updated website is live! Ko tēnā, tēnā! The updated Dunedin Puaka Matariki Festival website is live! Event Registration and Funding Application forms are now ready for your submissions. The closing date is Friday 27 April. Please pass on the news to everyone who is interested in taking part in this year's festival, 6–22 July. We look forward to receiving your applications, and putting this year's programme together. Karawhiua!